A preserved loco to the rescue! Privately owned 37038 was helping out Freightliner on 16 July 2001, when it was employed on the 4M55 10:17 Millbrook to Lawley Street freightliner. 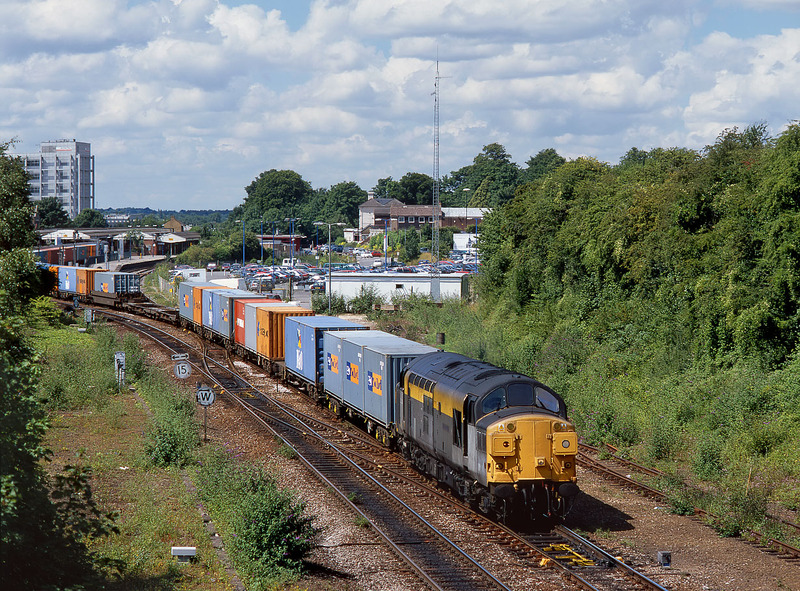 It is seen here pulling away from Basingstoke. Far from a one off, 37038 appeared on a number of freightliners around this time, much to the delight of photographers.